Wedding violinist Na You Yang has an bright fascinating sound, everyone loves her beautiful violin tone. She also provide wedding duo, trio and quartet. She is a Master degree and has played the weddings for 30 years. She plays all styles of music. We enjoyed to play music for all of you, who really understand MUSIC. We loved that day, because our hearts were together. We would certainly love to play for your next event. Na did a wonderful job as the solo violinist at our wedding. She played the songs we agreed upon prior to the wedding and she took cues from the wedding coordinator very well during the ceremony. 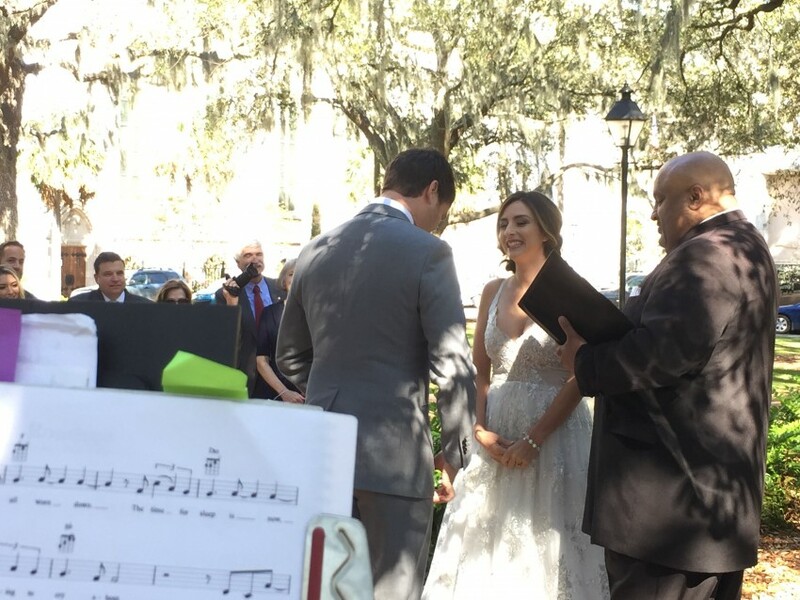 Her music made our beautiful beach wedding on Hilton Head Island even more special. I would highly recommend her to others for her professionalism, punctuality, and musical skills. I would recommend Ocean Violinist! She was very professional and responsive. Her playing was beautiful and perfect for our wedding day. She played at all the points in the wedding that we planned. I would recommend her to anyone. Thank you very much, Alexandria. Your wedding was beautiful, and I was luck to be a part of your ceremony. We loved to play for your most wonderful wedding ceremony. Warm and delightful. Your traditional song instead of wedding March was fun, we would dance with it. Best wishes for your amazing marriage! Forever!!! Since I live out of town and could not be present in person for Valentine's Day, I asked Ocean Violinist Na You to appear at my girlfriend's office to present a surprise mini-concert of romantic/love songs. This was arranged no more than a couple of days in advance, and her efforts allowed the surprise to be pulled off without a hitch. The requested song list contained music with which she was familiar, and her arrangements and style of play worked perfectly for Valentine's Day. I have seen video of the event and could not be more pleased. There is no question that Na You is the pre-eminent violinist in the Savannah, Georgia area, and she will disappoint no one regardless of the event for which she is hired. Cannot wait to hire her again!!!! Thank you very much for your beautiful review. I love violin, and love playing for people. I enjoyed playing for your girlfriend, she was shocked and extremely happy by your most romantic gift. I was happy to bring that gift to her. We were delighted with the Ocean Violinist. 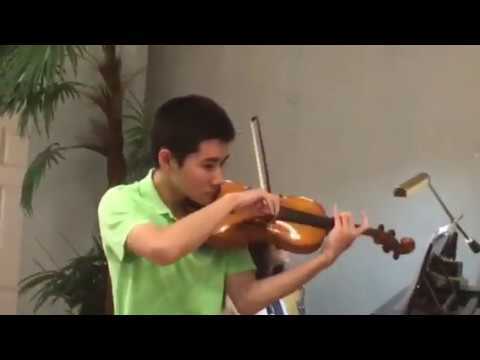 On time, fully prepared, beautifully dressed and outstanding playing of the violin. She thought ahead to ask what songs we wanted special to the bride and groom. Wonderful! It was my great pleasure to be a part of the beautiful wedding. Even though was raining, the beautiful indoor ceremony was warm and mew, which perfectly accompanied the new happy couple. Wish you all happy forever! Na was very professional and easy to work with. Her music was lovely and added the perfect touch to the ceremony! Thank you, Judy. Wish your daughter happy forever. Na You played beautifully, The violin music added so much more to our wedding than we could imagine. It was such a perfect choice for our wedding and we would recommend violin music for anyone's wedding. And, without a doubt, make sure to book the Ocean Violinist, as well. 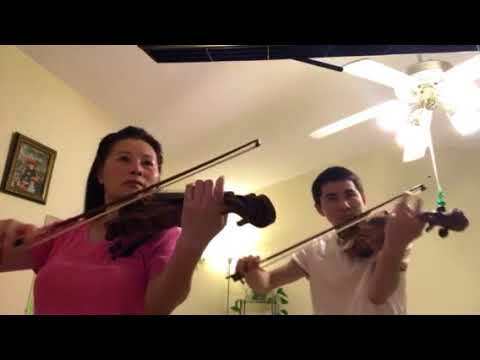 I had the utmost pleasure of having Na and her talented son to play at my wedding. They created a pleasure of duets, a true magical experience. I am so happy to have had the honor of their presence, for they created my dream atmosphere for the event. Do not hesitate choosing Na You as your violinist as she will make the most beautiful music you could desire! Thank you, Saadia for the wonderful comments! the first time your post did not show on here and you had to write again. I appreciate your effort, you are an awesome bride. You ceremony video is so beautiful that I uploaded on my website at, what a fabulous memory! Wish you happy forever! God bless! Beautiful Music - Wonderful to Work With! I booked the Ocean Violinist for my wedding ceremony and cocktail hour at Port Royal Golf Club on Hilton Head Island. Na was so accommodating and wonderful to work with. Her prices were very reasonable and she made the process and communication seamless. I would recommend the Ocean Violinist for your wedding on HHI. It was my son and my pleasure to play our duo for your beautiful wedding. Na was such a wonderful musician for our daughter's wedding! She was very professional in all our communication before the wedding, and her music was perfect for the ceremony! I found Na on this website and was contacted shortly after my inquery by her. The moment I talked to Na on the phone...I knew she'd be perfect. She was so sweet and nice and we laughed as she sang music samples over the phone to me. I really liked that she has a link on her website of her actually playing some songs so you get a sense of how good she is. She was the only solo violinist we had at our ceremony. That can be a daunting performance with all eyes on you but she knocked it out of the park. We had 80 guests and an out door wedding at the Charleston Tea Plantation and everyone could easily hear here. I'll always cherrish the memory of walking down the aisle with my dad to Cannon in D crying only to see my future husband crying as well when we got to him. Thank you Na for making our wedding beautiful by your music. I would highly recommend! The Oceanviolinist group very responsible musicians, they are very experienced wedding and party players. Their prices are reasonable and especially is willing to work with the clients. Na's groups are professional musicians, play wide range and different styles of music. The music groups rehearse the client's music well before the event, and make sure play perfectly for the clients' events. Oceanviolinist is offering wedding Solo, Duo, Trio and Quartet for weddings and other events. 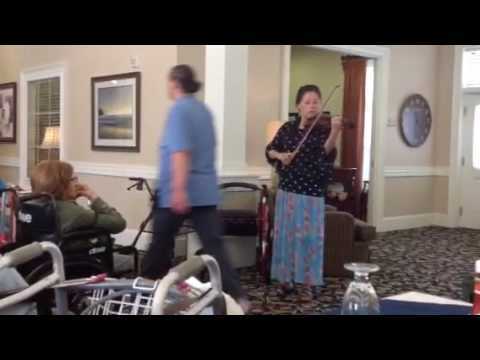 The founder Na You Yang has received her Master of Arts in violin Performance from Bowling Green University in 2000. While she works on her Solo Violin Artist Diploma in Indiana University in 1994, she started playing the weddings there. In 1986 she received her Bachelor of Arts Degree in the Beijing Central Conservatory. Na also completed books 1-8 of the Suzuki violin teaching training at the School for Strings in New York in 2003. She taught at Rockland Conservatory of Music in New York and the Neighborhood Music School in Connecticut from 2000 until 2007. She played with Newburg Symphony Orchestra in New York and the South Bend Symphony in Indiana. Ms Yang's groups have played weddings and different events for 20 years; her sweet and fascinating sound has attracted thousands of wedding couples and the audiences. 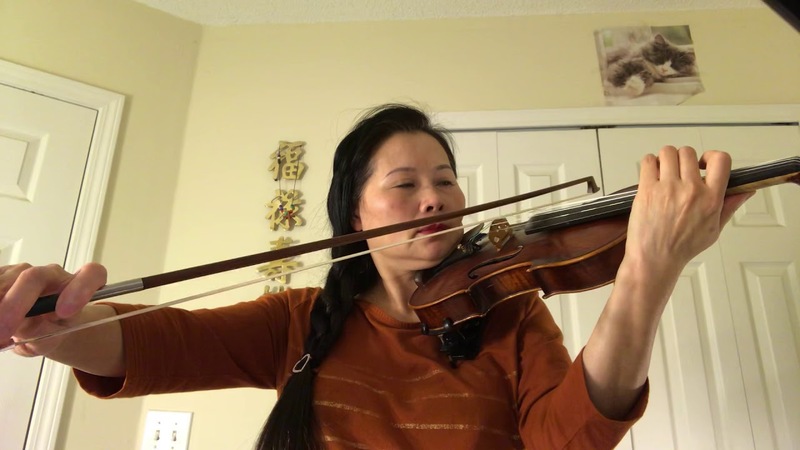 Ms. Yang is currently teaching violin is performing with the Hilton Head Symphony Orchestra and teach students at home studio. Oceanviolinist is definitely your best music choice. Our goal is to help the clients to choose the best wedding music and play them with whole heart. We will bring our own instruments and music stands. We only need the armless chairs, one for each musician. As a violinist, I played for over 100 guests for the weddings, and the guests claimed my music was clear and loud. They really enjoyed my music. So, I always suggest the clients to hire small groups if they need.